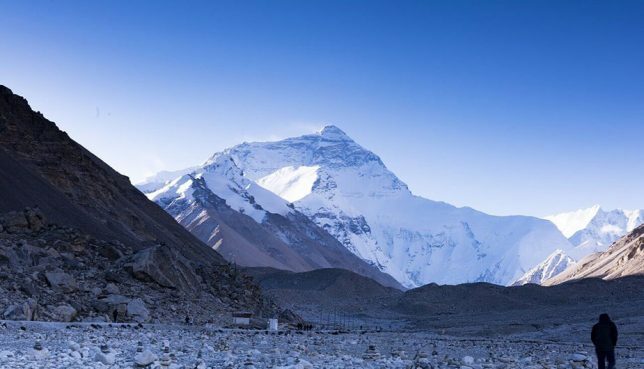 Everest Base Camp Trek in June Doable? Home / 10 Best Treks in Nepal – The Ultimate Guide for Trekking in Nepal / Everest Base Camp Trek in 2018: The Ultimate Guide / Everest Base Camp Trek in June Doable? June in the northern hemisphere means warm climatic conditions. And what do the warmer temperatures mean? It means that going to the Everest Base Camp is all better with the sun providing warmth and comfort in the mountainous region. There is no doubt that there are chances of rain in this season. 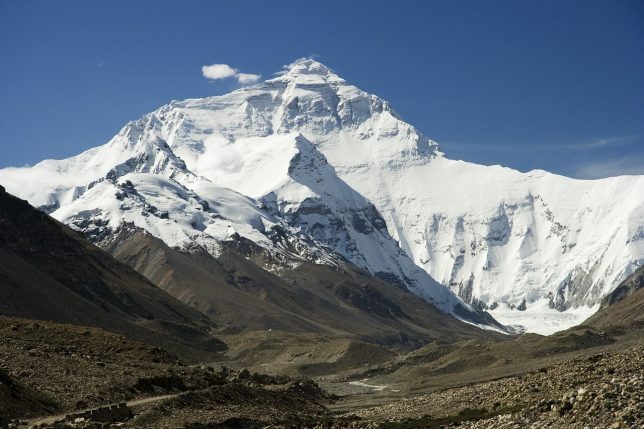 But the rain in this season in the northern part ( the region where the Everest lies ) of Nepal is actually quite low. So, if you can track the weather conditions and be a tad patient in your treks, Everest Base Camp trek in June is a worthwhile experience. With the slight touch of the monsoons, the vegetation in the mountain region will come alive and will result in splendid viewing. Besides, the sight of mountains after the clouds have disappeared is the most beautiful sight in the world. So, why should you fear trekking to the Base Camp in the month of June? As I said before, the comfort of Sun on your body during your treks to the cold mountains provides a much-needed relief during your treks. And the warm climate is not simply a feature of Everest Base Camp only. Other places along your trek to the Base Camp or the high passes you want to go to also welcome you with warmer temperatures. The monsoon season in Nepal kicks off in the latter parts of June. Therefore, the early parts of this month are relatively drier and have a low amount of water vapour. The other wonderful thing about monsoon is that the rain generally pours down in the latter parts of the day and the night time. This makes for clear, fresh and beautiful mornings. The maximum wind speed in Namche Bazaar in this month is 9.4 mph. While, average wind speed in the Base Camp is 5.4 mph. The pleasant wind to go with the warm temperature in this month will bring about a lot of comfortable trekking if you’ve never trekked in high altitude before. The light shower which is possible during the evening or the nighttime makes the morning Sun beautiful to view. The air is the freshest then and therefore perfect for the beginning of your trek. This is the month when rain planting is done and something that every tourist enjoys. If you want to try it out, the locals will be more than happy to guide you. You’ll get to know the people of the region better and you can make some amazing friends along the way. The sunrise and the sunset in this month makes for great viewing as the air is fresh. The same is true for viewing the mountains such as Mt. Everest, Mt. Lhotse and Mt. Cho Oyu in this region. As the flowers that are blossoming in the spring above get a touch of rain in the monsoon of June, the flower and plant life along the way will be lush green. Thus the flora in the Sagarmatha National Park will be the lush green. Due to some amount of rainfall in the month of June, you should take into account the fact that your treks might not go as fluently as in other months when monsoon is absent. There might be slippery trails along the way to slow you down. Further, your flights to Lukla from Kathmandu when you are about to start your trek might be cancelled due to climatic conditions that make the flights unable to operate. So, you should make sure that you spend extra days to assimilate with such weather. Guides will be absolutely necessary to take while trekking in June. They will help you avoid the areas that might be too muddy or slippery to trek in. While trekking in such slippery and muddy areas, porters carrying your items will help you retain your balance. And, there is nothing better than helping local tourism industry in the region. In cases of medical emergencies such as fatigue or altitude sickness, the porters and guides minimize the chances of extreme sickness by guiding you to medical houses. If you go to the Everest Base Camp trek by contacting a travel company, they will arrange for travel insurance as well. You should look at the weather forecasting reports before you start your treks. This will be your safest measure to avoid any inclement weather along the way. A guide or porter will also come in handy while tracking the weather. Not all weather reports work perfectly. The guides and porters along the way will have a good way of predicting what the weather might be like on a given day. Their experience will amaze you. You have to pack smartly. This month is fairly warm. So, you must avoid heavy packing. But you should avoid very light packing as well. You should pack keeping in mind the rain that might bring about windy weather. Waterproof backpacks will help you protect your valuable items in cases of rain. Trekking boots that have a firm grip to avoid any slips. Sleeping bags with liners will help you keep the cold and wind away if it rains. In the monsoon season, there might be mosquitoes and other insects. You must buy insect repellent sprays and creams. If you happen to be stung by a leech, table salt will help you get rid of it. Trousers and down jackets that keep that are water resistant will be needed to keep the problems of monsoon away. Panorama trek is a light trek in the Everest region that helps you get a feel for the Everest without missing out on many things. In this trip, you will go to Lukla, and trek to Phakding. You will also go to Tengboche Monastery and Namche Bazaar. These two places will give you a feel of the Sherpa culture as well as lifestyle. If you don’t want to take any chances by trekking in the Everest region by trekking in the monsoon, you can try out the Helicopter tour. 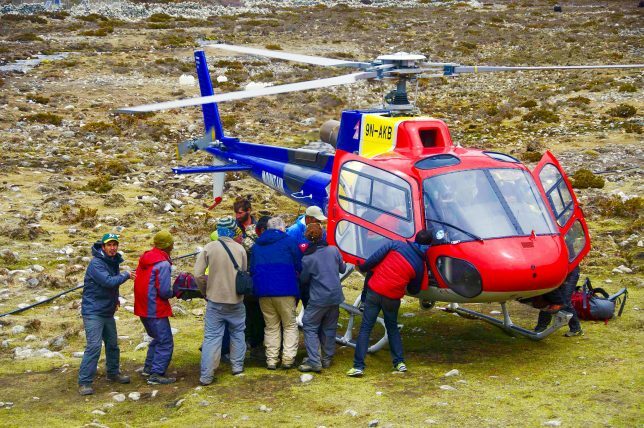 The helicopter tour will take you to the Everest Base Camp and Kala Pathar directly from Kathmandu. And in case the flight doesn’t take off due to poor weather, you will get your refund too. There are various ways you can take the tour- you can go by joining a group or take a private tour to the mountains. 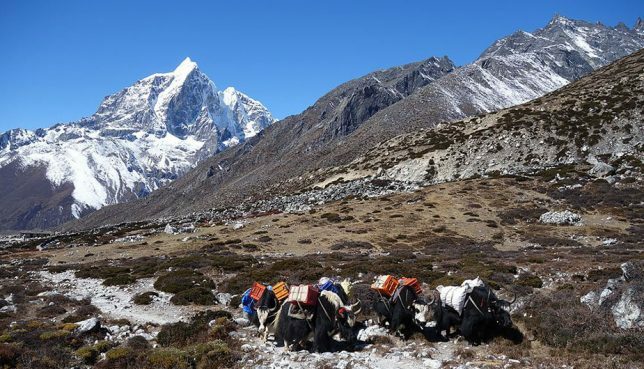 If you want to come to Everest Base Camp, why don’t you try out Everest High Passes trek? The trek has some awesome features and wonderful trails to walk in. 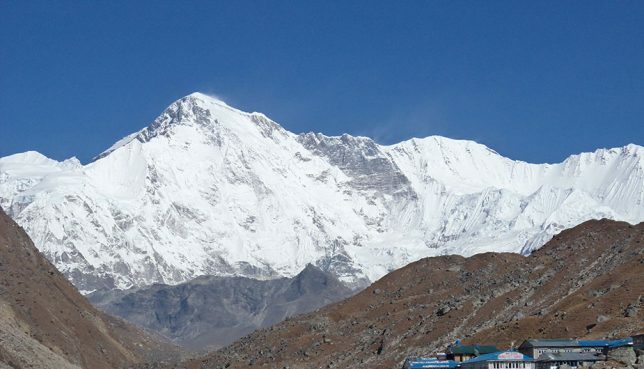 In this trek, you will view Ngozumpa glacier, Gokyo valley as well as three other high passes in the Everest region. 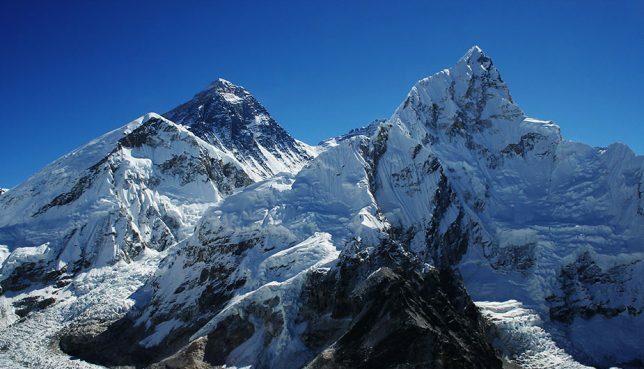 You will also get to view Khumbu mountains such as Ama Dablam, Thamserku and of course the Everest. 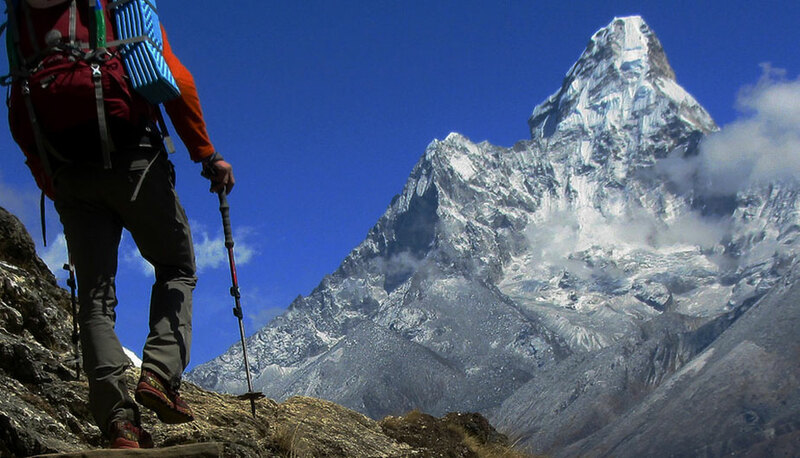 This trek in the Everest region lasts for 3 weeks. There are chances that you can have some delay along your way due to the monsoon. But if you have a proper mindset and proper packing, the weather in the Everest region in the month of June should not detract you. In fact, the Summer sun along with a slight drizzle will make your trek in the Everest Base Camp an adventure. And if you want to avoid the drizzle, there is a way you can make it to this place by coming in the earliest weeks of June.